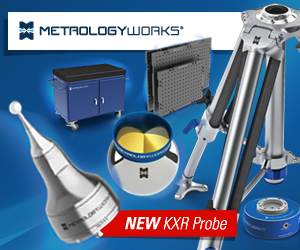 Portable metrology equipment has seen a meteoric rise in its role of supporting the various aspects of manufacturing over past decades including reverse engineering, prototype part inspection, low volume production measurements, tooling and fixture inspection and alignment, interrogation of product quality issues etc. One significant characteristic of portable metrology equipment is its ability to be used at the ‘point of manufacture’, on the production floor, allowing it to perform a ‘walk-on’ and measure role. With all the talk of Industry 4.0, and the upcoming ‘unmanned’ smart factories, it may be a little surprising for some to see that portable metrology equipment suppliers continue to grow their businesses with future years growth projections in the 7% CAGR range. Currently portable metrology equipment, in the main, is manually operated which appears also to be at odds with the predicted future of fully automated manufacturing with closed loop, fully integrated, metrology. 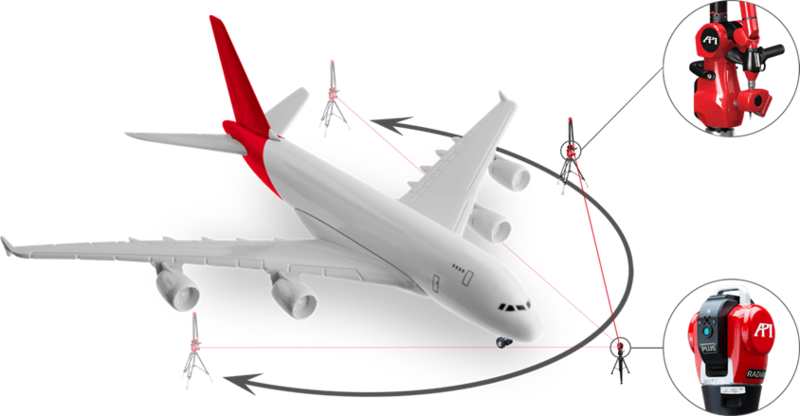 Today’s portable metrology technology can be categorized into articulated arm coordinate measuring machines (portable arms), laser trackers and hand held optical scanners. The portable arm CMM (PCMM) has a limited number of suppliers, principally due to the original prevailing technology patents, with Faro and Hexagon being globally dominant. French manufacturer Kreon has increased the competitive landscape in past years with their focus on the integration of high accuracy laser scanners with its portable arm range. To date no portable arm manufacturer has emerged in China, probably due to the import restrictions on high accuracy rotary encoders, but a recent visit by the author to a China facility, indicates that this may change with the emergence of a supplier that has pioneered the domestic development of high accuracy rotary encoder products. 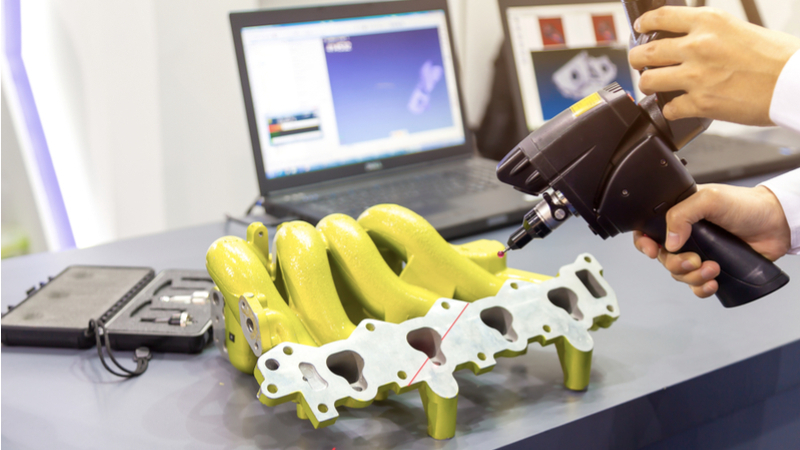 Portable arms, sourced from Hexagon MI, are also available from Nikon Metrology interfaced with its laser scanner, while universal metrology software supplier Verisurf, deploys portable product through a package of software and its Master 3D Gauge Arm. The portable arm has dramatically eroded the manual horizontal arm CMM market as manufacturing industry increasingly preferred to take the machine to the job and measure in-situ rather than bring large parts into a dedicated metrology facility. 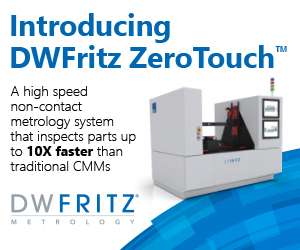 In addition the past focus on software usability means that ease of measurement allowed portable devices to be significantly more productive than a traditional CMM. In addition, from the industry early beginnings, the portable arm suppliers adopted an open architecture approach to measurement software allowing a thriving industry of 3rd party software companies to rise-up. 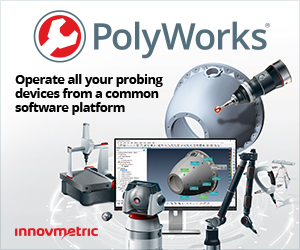 One leading portable metrology equipment software supplier, Innovmetric, reported it sold 3400 Polyworks software licenses in 2017. The traditional CMM suppliers had to be coerced into offering open architecture through customer pressure with the subsequent development of the I++ specification allowing users to select metrology software independent of hardware. The role of the laser tracker in large volume measurement, and the alignment and inspection of tooling, fixtures and equipment, has also impacted the large gantry CMM market in lower volume production operations. 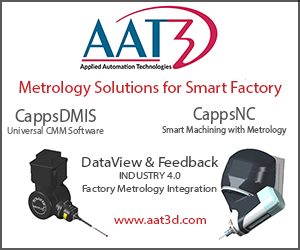 Only 3 manufactures of this sophisticated measurement technology exist namely API, Faro and Hexagon MI (Leica). Its now more than 30 years since the laser tracker was invented by the API CEO Dr. Kam Lau, while working at the USA’s National Institute of Standards and Technology (NIST); the technology was subsequently licensed by API to Wild/Kern (now Leitz) while Faro obtained its initial tracker technology by acquiring SpatialMetrix Corporation (SMX) in 2001. The combination of portable arm and laser tracker in the form of a tracked arm has also seen the extension of the portable arm into larger volume inspection tasks. 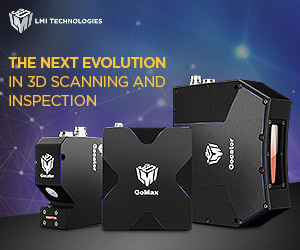 The laser tracker has also seen a focus recently on hand held tactile probing and hand held scanners increasing further the application depth of the laser tracker into production metrology applications. A company that has plotted its own course in the portable metrology sector is Creaform which has developed arm-less portable 3D measurement technologies. Providing flexibility and efficiency in performing quality control operations directly on the production floor the Creaform HandyPROBE Next™ portable CMM provides measurement accuracy insensitive to the instabilities of production environments. 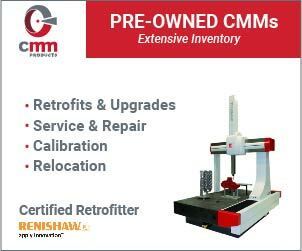 Free of any rigid measurement setup, the portable CMM is claimed to outperform traditional PCMMs on the shop floor. The Creaform C-Track optical tracker and wireless probe can be moved at any time during the measurement sequence while generating the same high-quality data. Recently Creaform portable metrology technology patents were upheld against challenge in China. 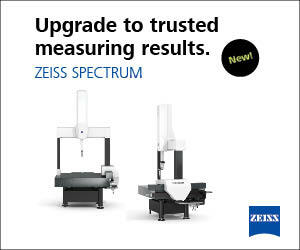 Zeiss has also entered the portable metrology market in 2015 through the acquisition of Steinbechler, a pioneer of optically tracked range of hand held tactile and laser scanning probes. A new all-in-one laser scanning solution provides a hand-held laser scanner with a specially developed tracking system and a touch probe. The perfectly tuned components allow superior flexibility and universal application capabilities. The unique combination of hand-held scanner and tracking unit offers highly ergonomic design and excellent portability of all system components providing efficient surface-based digitizing. In addition, the compact touch probe allows easy collection of single point measurements. Its difficult to envisage the roles currently being performed by portable metrology equipment diminishing as manufacturing enters a period of reinvention. What can be envisaged it for automated portable metrology solutions coming to market allowing portable equipment to continue its ‘walk-on’ role albeit that a higher volume of parts can be measured automatically under full CNC execution. 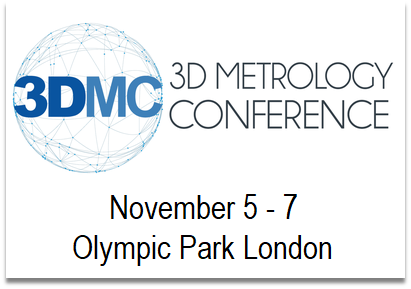 The current collaborative robots have found use in demonstrating metrology sensor technologies at exhibition however, their current positional inaccuracies will require volumetric compensation, similar to those used in portable arm CMMs, with higher resolution rotary encoders if they are to be used without photogrammetry and penetrate applications currently performed by manually operated equipment. Maybe the huge investment currently being undertaken in industrial robot development in China, the largest robot market in the world, will yield the worlds 1st high accuracy CNC portable arm CMM for both tactile and optical measurements. 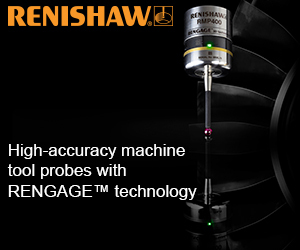 The Renishaw Equator also offers a level of portability to provide process control during production ramp up and new product introductions, using comparative gauging principles, with the ability to quickly be set-up and perform where additional quality monitoring becomes necessary.